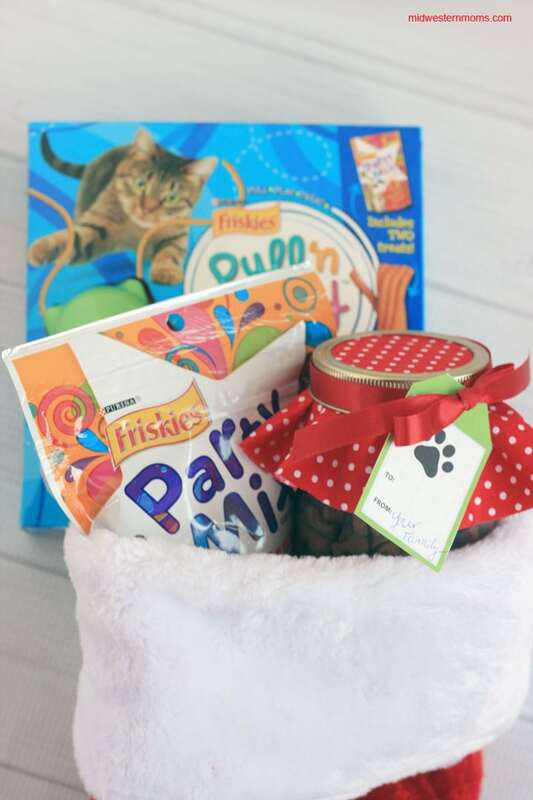 This Christmas Treat Jar for Pets is a sponsored post by Lunchbox. Christmas will be here in a few days! Do you have your shopping done yet? Did you forget you pets? I usually pick up our dogs some treats and a new toy. Now that we have a cat, I got her something too. 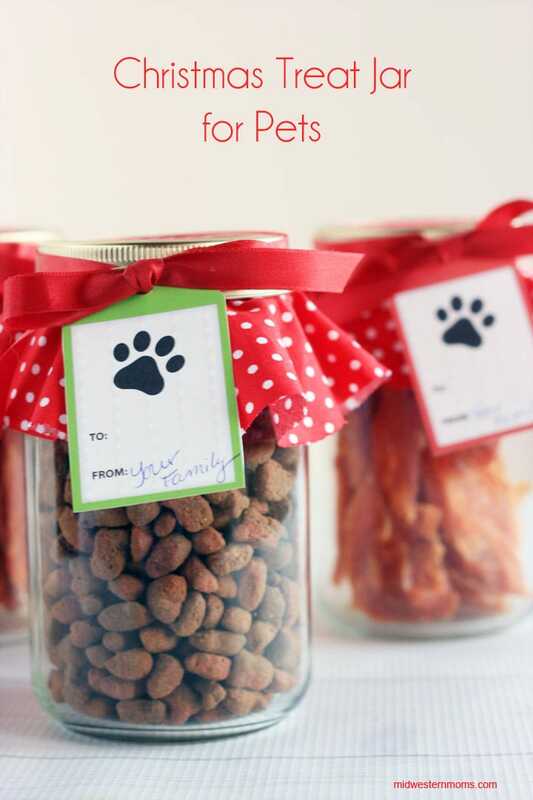 This year, I choose to make our pets each a Christmas Treat Jar. 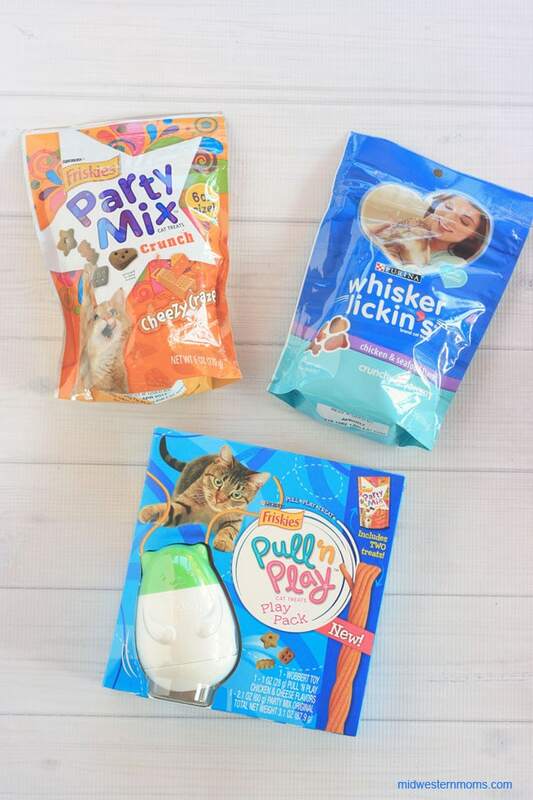 I downloaded great coupons to help purchase the treats for our pets. 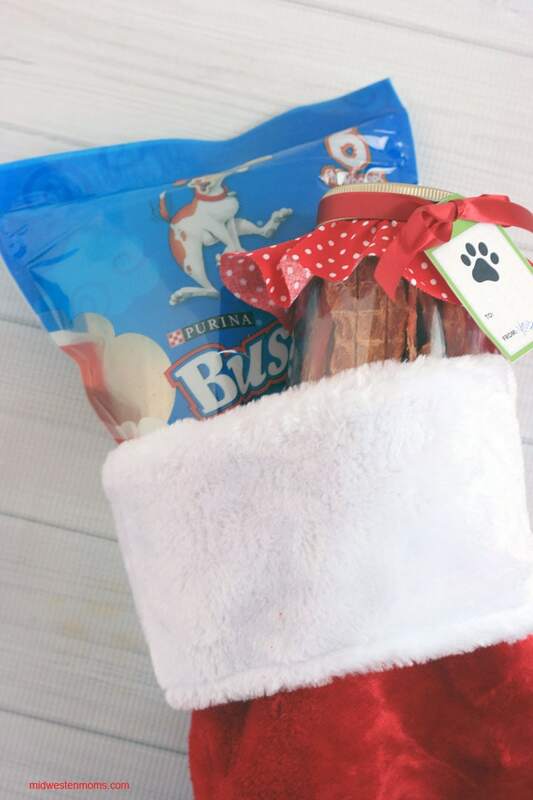 Make sure you grab these to fill up your Christmas treat jar. 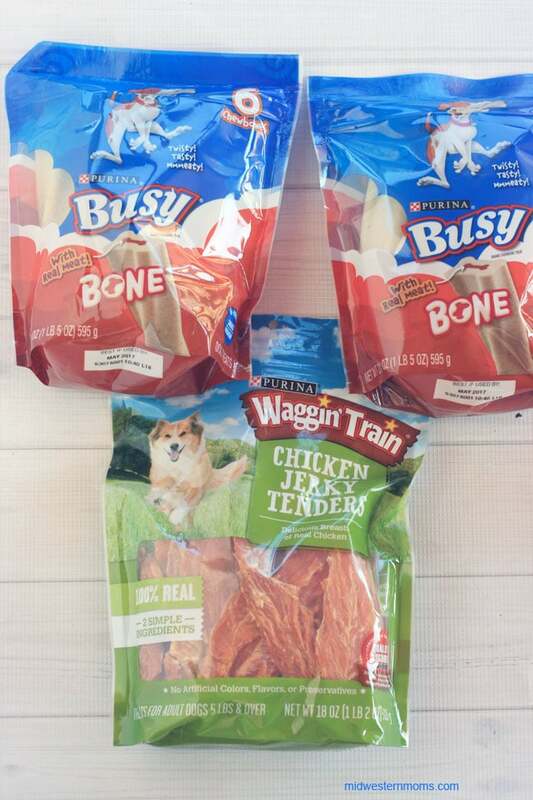 I picked them each up a bag of Busy Bones and I got the large, 1 pound bag of Waggin’ Train Chicken Jerkey Tenders to put in the jars. 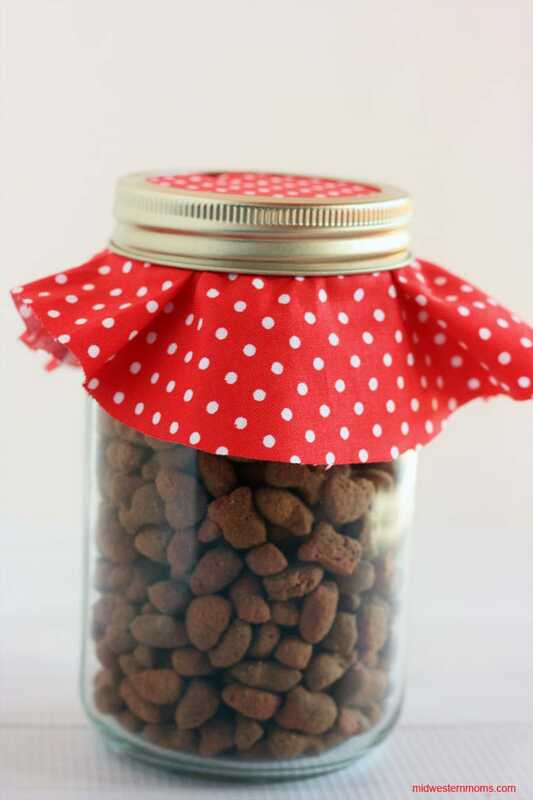 Step 1: Fill your mason jar with the Purina Treats. 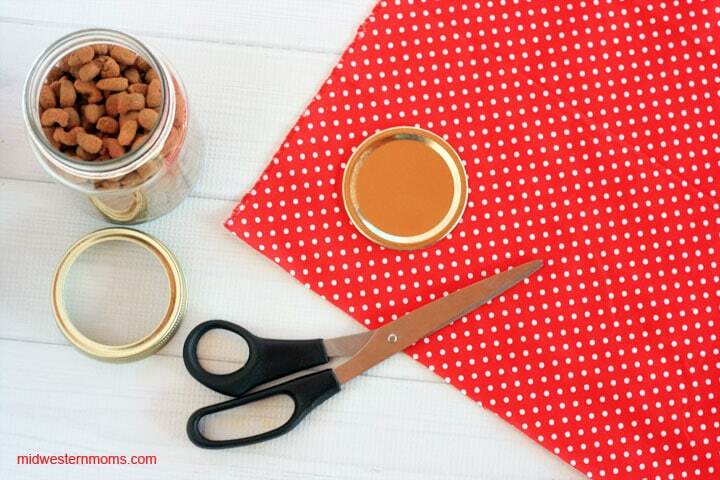 Step 2: Cut your fabric about 2 inches larger than your jar lid. Step 3: Put the inner lid on the jar. Step 4: Place your fabric over the inner lid. Step 5: Screw the metal band onto the jar. Step 6: Punch a hole in your gift tag and thread it onto the ribbon. Tie it around the jar.